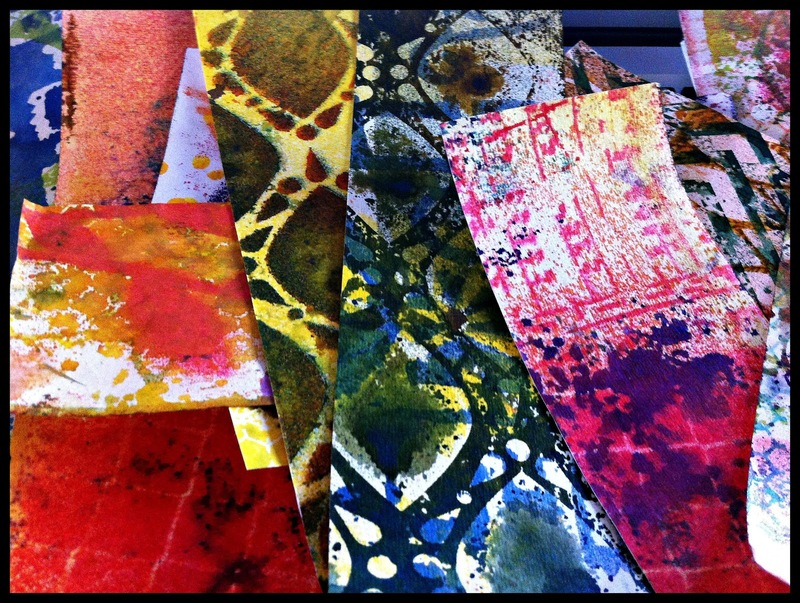 Believe Dream Create with Maria: Don't Throw Away Those Scraps! Don't Throw Away Those Scraps! Last week I was making some custom background papers for a online class I'm doing (Letter Love with Joanne Sharpe) with some new spray inks and stencils I bought. 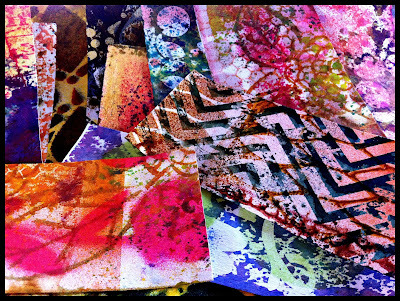 Which led to using all the different spray inks and stencils I have and a whole bunch of FUN! I used 9" x 12" watercolor paper. 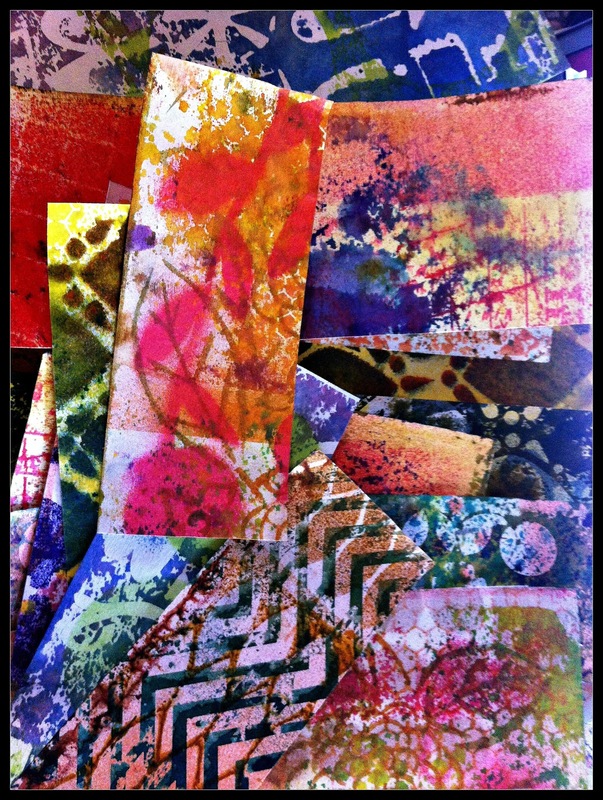 After I cut the sheets down for what I needed I noticed all the scraps sitting there and fell in love! I may never buy pattern paper again--okay well maybe not never but WOW! No one else will ever have the same piece as me! That's what I call getting inspiration from myself! Photo's taken from my phone. No kidding nobody's going to have the same paper as you! These look terrific Maria, look at all that color---wow!! !